Teachers are known to be one of the lowest paid jobs in the country and yet some might say that they are doing just fine. We have all heard that teachers sometime have to spend their own money on supplies and how that is unfair when they are paid so little. Is this really the case? Are teachers working hard for very little pay? 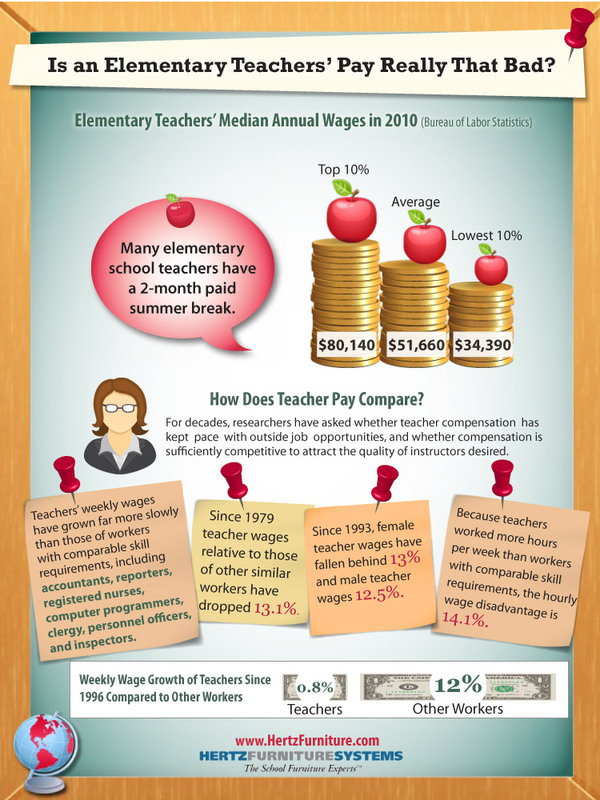 This infographic asks the question are teachers really being paid that bad. 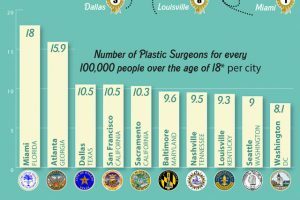 The infographic has a nice clean and simple design with an nice outlined background that looks similar to a chalkboard or pin board. All the notes are like post-it notes and the title is clearly tacked at the top making sure that it is seen. The images are nice and are used to show the information in a fun way. Overall a nice design that had an educational feel to it which works well with the topic of the information. The information is good and shows just how much a general elementary teacher makes. The infographic also has interesting pieces of information that show how teacher’s salaries have changed over the years. It does seem sad that those who are helping to teach the next generation are making so little when everyone else who works hard is rewarded with higher salaries. This infographic shows that while other workers experience a higher weekly wage growth teachers get a little growth. I still don’t know if from the information I can make a conclusion on whether or not teachers really are paid badly. I do think that they are surely under appreciated. So the next time you see a teacher maybe you should thank them for what they do. This infographic is provided by Hertz Furniture where you can find classroom furniture for your school.